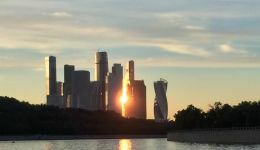 As the largest city in Europe, Moscow and its more than 13 million inhabitants comprise the economic and political capital of Russia. This beautiful city wears its history on its sleeve, blending longstanding Asian and European-influenced architecture with today’s modern skyscrapers. Due to its size, it is really no surprise that Moscow has something for everyone. 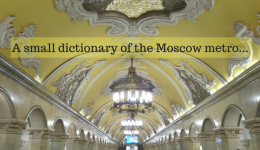 If you think you might want to learn Russian in Moscow, finding out more about what the city has to offer may just convince you. Stereotypes about the seriousness of Russians are nowhere to be found in Moscow’s social scene and nightlife. The city’s club scene has taken off in the last few years, giving it a reputation as one of Europe’s best party cities. Moscow also has many restaurants, pubs, and bars, and boasts more than 170 theatres and 50 stadiums. In addition, the city offers excellent shopping options, from niche boutiques to high-end fashion. In a city like this, it is all but impossible for Russian language students to fail to find entertaining and engaging activities. Perhaps the most intriguing element of staying in Moscow for your Russian language studies is the opportunity to be surrounded by the legacies of major historical events and figures. Originally settled in the 11th century, what is now Moscow was burnt to the ground twice by Tartar raids. However, the city has always been rebuilt, continuing to survive throughout Napoleon’s 1812 invasion, the 1917 Russian Revolution, and World War II to develop into one of the biggest cities of the world and Russia’s capital. 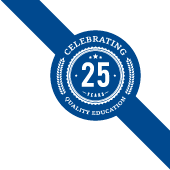 For students who want to learn Russian in Russia, there is no place better than Moscow. 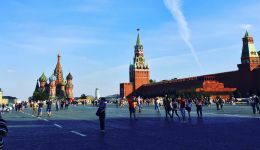 Red Square: This historic merchant quarter is Moscow’s central square connecting key buildings like the Kremlin to major streets and roadways, and has been the site of many major historic events. The Kremlin: A UNESCO World Heritage Site, the Moscow Kremlin was finished in 1495.Originally built as a fortified structure, the Kremlin has been reconstructed over the years, at times housing Tsars and other Imperial figures, and currently serving as the base of the government of the Russian Federation. The city’s 400+ museums: Moscow has more than 400 museums, including the Jewish Museum and Tolerance Centre, the State Tretyakov Gallery, the State Historical Museum, and the State Alexander Pushkin Museum. Even without any knowledge of Russian history, Moscow is still an impressive city simply for its visual impact. Moscow has 934 churches, many of which are intricately constructed with massive structures. The most famous is possibly St. Basil’s Cathedral, located adjacent to Red Square. The cathedral was commissioned in the 16th century by ‘Ivan the Terrible’. The cathedral is no longer in use for worship, but still serves as a popular attraction with its trademark onion domes and bright colours. The city is home to many other beautiful buildings, from the upward-reaching Ostankino tower to the intricate Kazan Cathedral. Students of all tastes are sure to find a site of interest as they explore Moscow during their Russian studies.